Geeklog 1.6.0sr1 is a security and bugfix update over 1.6.0. This contains only the files needed to upgrade from Geeklog 1.6.0. For fresh installs and upgrades from earlier versions, please download the complete Geeklog tarball instead. This contains ONLY the file needed to upgrade from Geeklog 1.5.2sr4. For fresh installs and upgrades from earlier versions, please download the complete Geeklog tarball instead. Geeklog 1.6.0 now supports site migration, plugin uploads, offers improved search and comment functionality, and comes with a new plugin to generate XML sitemaps. This is a complete tarball, to be used for fresh installs and upgrades from Geeklog 1.5.2 and all earlier versions. This is the second Release Candidate of Geeklog 1.6.0. Please try it out and give us some feedback! This is the first Release Candidate of Geeklog 1.6.0. Please try it out and give us some feedback! For new sites please download and install Geeklog 1.5.2sr4 instead (until 1.6.0 is released). This is the third BETA version of Geeklog 1.6.0. Please try it out and give us some feedback! For new sites please download and install Geeklog 1.5.2sr4 instead (until 1.6.0 is out of beta). This is the second BETA version of Geeklog 1.6.0. Please try it out and give us some feedback! 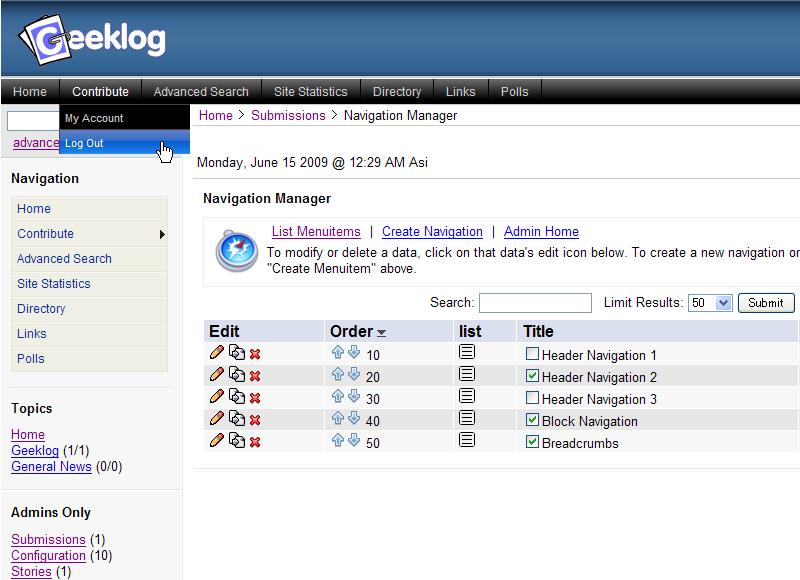 This is the first BETA version of Geeklog 1.6.0. Please try it out and give us some feedback! Geeklog 1.5.2sr4 is a security update over 1.5.2sr3. This is a complete tarball, to be used for fresh installs and upgrades from all pre-1.5.2 releases. This contains ONLY the file needed to upgrade from Geeklog 1.5.2sr2. For fresh installs and upgrades from earlier versions, please download the complete Geeklog tarball instead. Geeklog 1.5.2sr3 is a security update over 1.5.2sr2. This is a replacement lib-sessions.php for Geeklog 1.4.1 that fixes the security issue that led to the release of Geeklog 1.5.2sr2 (the lib-sessions.php from that version does NOT work with 1.4.1). 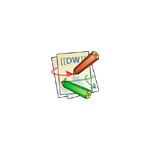 Do not use this file with any 1.5.x version! Geeklog 1.5.2sr2 is a security update over 1.5.2sr1. This contains ONLY the file needed to upgrade from Geeklog 1.5.2sr1. For fresh installs and upgrades from earlier versions, please download the complete Geeklog 1.5.2sr2 tarball instead. Geeklog 1.5.2sr1 is a security update over 1.5.2. This contains ONLY the file needed to upgrade from Geeklog 1.5.2. For fresh installs and upgrades from earlier versions, please download the complete Geeklog 1.5.2sr1 tarball instead. This is the first Release Candidate for Geeklog 1.5.2, a maintenance update for the 1.5.x series. Please try it out and give us your feedback. Thanks!